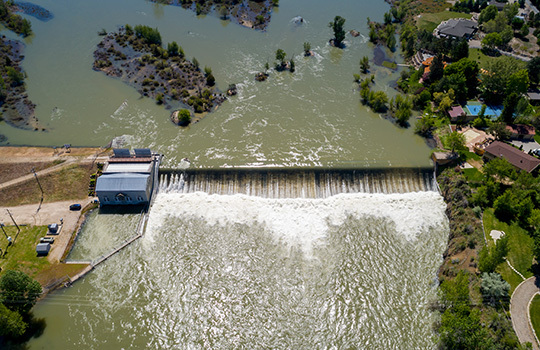 As infrastructure ages and the frequency of extreme weather increases, so do Asset Impact Events such as flooded residential areas, sewage overflows and failed dams. 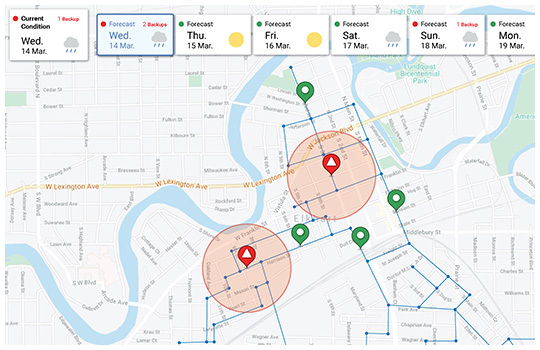 FlowWorks can provide 7-Day Predictive Forecasting of Asset Impact Events by combining real-time data, historical data, and a variety of weather forecast models. 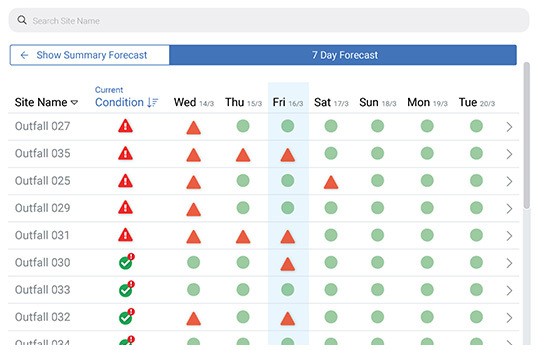 Using machine learning, a forecast is built to meet customer and domain expert specifications that over time continues to develop more insights into infrastructure functions. FlowWorks’ open data platform and scalable cloud storage make it easy to continue growing a sensor network and deeper system of site specific knowledge. For over a decade, FlowWorks has helped its clients with real-time monitoring of their wastewater systems, with real-time monitoring and alarming to alert operations to potential problems so they can act. Now with 7-Day forecasting combined with a map overlay, specific locations and areas of a collection system are highlighted where potential problems are predicted to occur. Operations staff and engineers can strategize and prepare to prevent or mitigate overflows, protecting infrastructure and the environment. Due to aging infrastructure, many cities and municipalities deal with the continued problem of basement flooding. Not only is this a problem for water and wastewater infrastructure, but also a huge problem for homeowners and insurance providers. 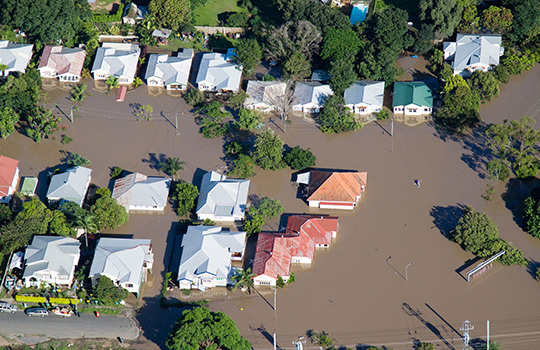 FlowWorks customers can support their constituents by incorporating 7-Day basement flooding forecasting, and instead of angry phone calls, will receive the thanks of a community spared from personal property damage.